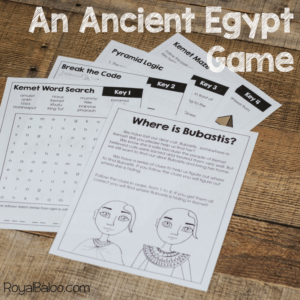 If your goal is to find a fun activity to review some Ancient Egypt vocabulary, facts, or the like, then I have the activity for you. Escape rooms are becoming a big deal and many people are successfully incorporating them into educational situations. I knew that this would be something my kids would love. 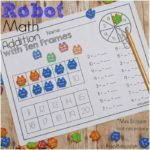 It’s different and fun but still works on valuable skills! Before I get too far, I have a cat to let out of the bag. I’ve been working on a secular history curriculum specifically for the elementary years. It has been quite the undertaking but I’m quite pleased with where it’s going. If you want more info on the curriculum, I’ll refer you to the newsletter for more info 🙂 You can also feel free to e-mail me directly (erin at royalbaloo dot com) with any questions! Now onto the Escape Room! Escape Rooms are games where people are ‘locked’ in a room and they have to solve a series of puzzles or riddles to escape. They usually start with a premise or theme. People have made businesses out of escape rooms and now the idea is spilling over into parties and classrooms. 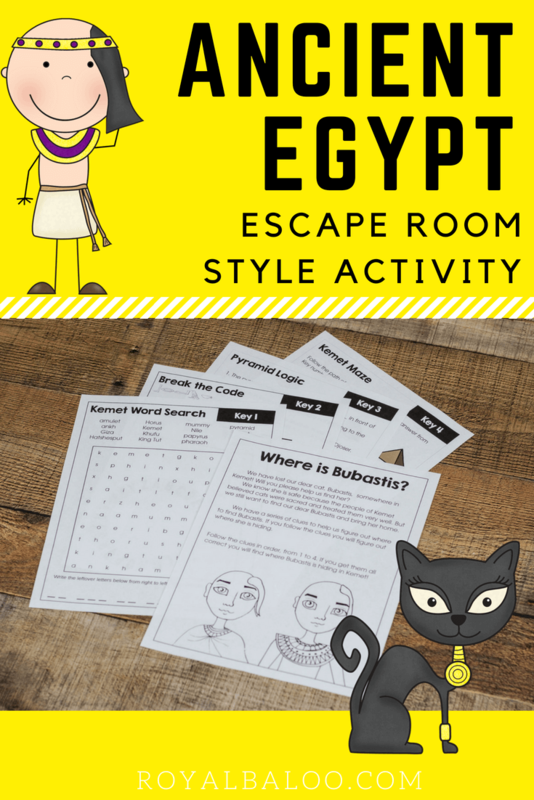 Escape room printables usually don’t involve being locked in a room but it still includes a series of puzzles or riddles to reach the end goal. Many don’t even involve escaping a room! You might have to find the Ark of the Covenant or break into a bank vault. These games can go many different ways! How is an Escape Room Educational? This totally depends on the escape room but at the very least the puzzles and riddles will work on logic skills. The ones that are more educational based can cover any topic imaginable. From math and reading to physical education to kindness. The possibilities are endless. This particular escape room is more of a scavenger hunt and uses codes, a word search, logic, and a maze to get to the end. 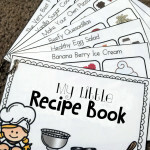 I designed it so that most kids could do it and they wouldn’t be limited by something like vocabulary or math skills. I did want it to relate back to Ancient Egypt to I used as many Egypt vocabulary words as possible. Where is Bubastis? 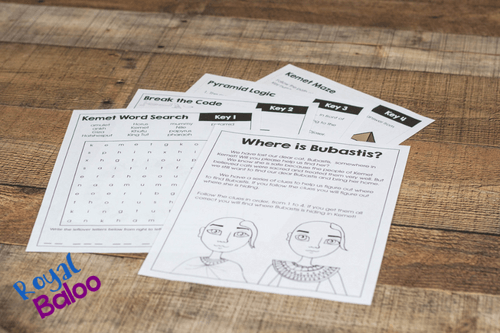 Bubastis is a cat in Ancient Egypt and he is lost. You need to help find what Ancient Egyptian city he is hiding in! There are four parts, of keys, to this scavenger hunt escape room activity. Each one leads to the next so you can’t just skip them! First, find all the words in the word search. The leftover letters spell out the clue that you will need for the next key. Second, put together your code breaker. You need to start by lining up one symbol and one letter. 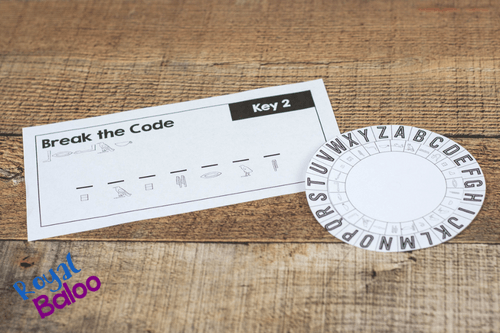 The clue from the word search will tell you how to spin the code breaker! The answer from the codebreakerr needs to be filled in for key 3 – logic. 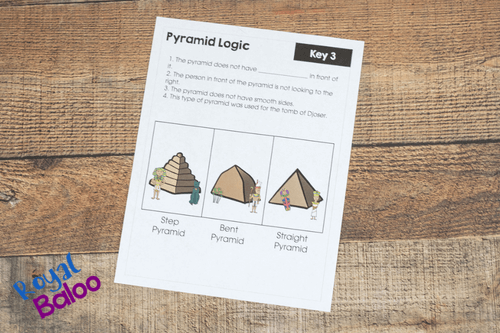 Third, figure out which pyramid is the right one using the logic clues! Lastly, follow the correct maze to determine the correct city! You might notice that some of the pages refer to Kemet. What is Kemet? I’ve included a page in the printable explaining this but to make a long story short, Kemet is the name that the Ancient Egyptians used for their land. And they referred to themselves as ‘people of Kemet’. So I tried to use Kemet in the printable to be respectful of the people! This activity is a part of my member library. By signing up for the newsletter you will get access to all of the member freebies!